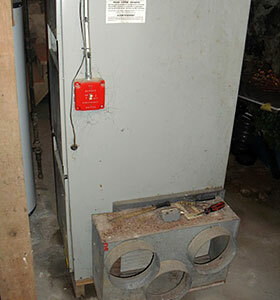 Existing - 25yr old 80% efficient forced hot air furnace with poorly designed duct system. Many of these energy pigs are still roaming the Rowley, MA area. JUST ANOTHER HAPPY ROWLEY, MA OWNER! 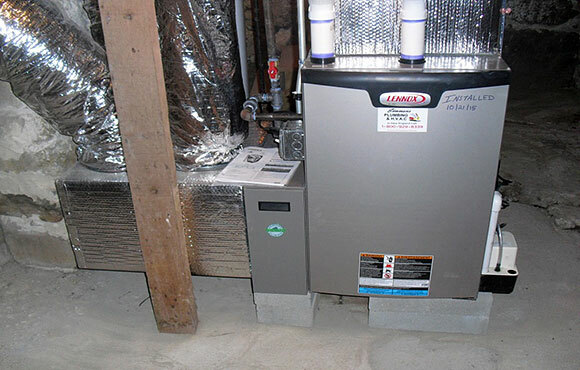 NEW - LENNOX 90,000 BTU, 95% efficient with Power Saver Motor, a MERV 11 rated “Healthy Climate Filter” and cabinet rated at 85% efficiency to 3 microns and an ON Demand 95% efficient Rinnai water heater. New insulated supply duct system and new return air system also installed. At customers request the venting was raised to prevent snow blockage. This new equipment and venting freed up the chimney to be removed as it is no longer needed. Warranty: 1 year Workmanship and Required parts. 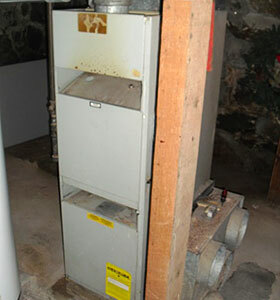 LENNOX Furnace offers 10yrs on ALL PARTS and Lifetime on the Heat exchangers.